While the secular regimes in the Muslim world have failed miserably in alleviating the problems of the masses, they continue to remain in power. What is the reason for this apparent paradox? The French orientalist, Olivier Roy, attributes this to the failure of what he calls ‘political Islam.’ Western writers with limited understanding of Islam are prone to such self-serving simplistic assertions. In Islam, there is no separation of politics from the other precepts of deen. Western writers repeatedly make this fundamental error by applying their Christian or Jewish understanding of religion to Islam. But beyond their failure to understand lurks another demon: a deep animosity born of the crusading mentality that has contaminated western thought for close to 1,000 years. While in western societies, the intellectuals insist on the separation of religion from politics, in dealing with Islam, they cannot put aside their Christian/Jewish prejudices. Even the most secular-minded western politicians are prone to slipping into the crusading mindset when Islam is mentioned. Our inquiry, however, is not about western orientalist rantings. It is to address the question of how secular regimes in the Muslim world, despite their repeated and visible failures, have survived for so long. Why have they not been consigned to the dustbin of history where they rightly belong? These regimes, of course, are not alone. They have the backing of their masters in the west. These regimes are supported in numerous ways: financial, political, diplomatic, supply of military equipment, training of their personnel and even sharing intelligence data. Financial support does not mean handouts. These are loans advanced to regimes on which hefty interest is charged. That is why, almost all the regimes in the Muslim world are heavily in debt, including those that earn vast sums from oil sales. The price has to be paid by the masses. They do not benefit from these loans. Often, they are the victims of such loans advanced to regimes who use them or the instruments of torture supplied by their western masters on the hapless civilians. Algeria offers a good example. Its oil and gas revenues have been in the range of $11 to $12 billion annually. Yet the country has an external debt of $30 billion and climbing. France, the International Monetary Fund and the World Bank are all involved in advancing more money to shore up the crumbling regime facing a determined challenge from the Islamic Movement in Algeria. Egypt is in an even more precarious position. Its external debt is close to $60 billion although some of it was written off for its participation in the US-led Gulf War against Iraq in 1990-91. It is the second largest recipient of US aid after Israel, the country with whom Cairo entered into a peace treaty as far back as 1978. The so-called peace treaty with Israel was strongly resented by the people of Egypt. They made their anger felt by executing Anwar Sadat during a military parade in October 1981. Yet that did not result in a change of government or policy as expected. Remember, the power of kufr is global! The Islamic Movement also faces a handicap in its ability to get its point of view across. Almost the entire media networks in the world are dominated by the kuffar (Remember, the power of kufr is global!). The west’s media outlets have immense resources at their disposal. Even in the Muslim world, media outlets are tightly controlled. The daily drivel dished out on radio, television or in newspapers seldom goes beyond extolling the non-existent virtues of whichever tyrant or clown happens to be in power. The media outlets of the Global Islamic Movement work under extreme constraints; of resources, manpower and other facilities. Often, one person is forced to do the job of at least half a dozen. 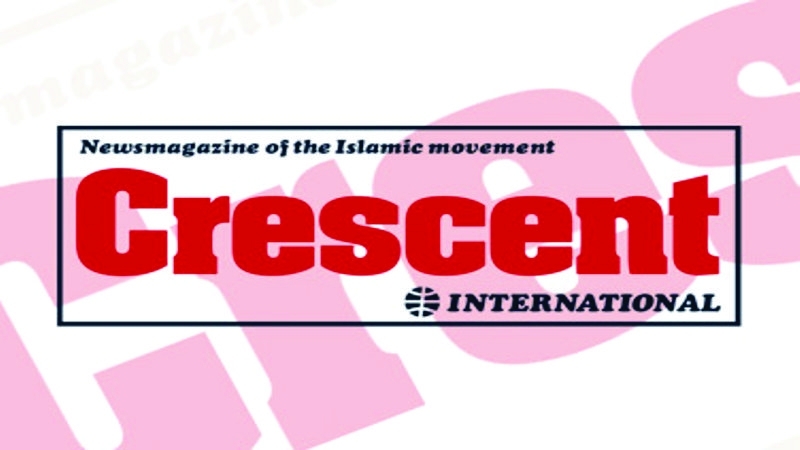 The Crescent International newsmagazine is a primary example of this kind of operations. This is a question that members of the Global Islamic Movement must address seriously. While Muslims agree on an operational definition of the Global Islamic Movement, its members in various parts of the world are, perhaps, not sufficiently aware of what their responsibilities are. Not every member needs to take up arms or give his/her life for the sake of Islam, although this may become necessary at some stage. What those who are not in the forefront of the physical struggle need to do is to make the resources available for those who are in the frontline. After all, the burden must be shared more equitably. To start with, those who identify with the objectives of the Global Islamic Movement must begin to commit more of their resources for the work of the movement. At the same time, they must also motivate others to get involved. Commitment of resources is essential. Much is expected of those to whom much is given. There are those who are giving their lives for Islam, others do not even give a few pennies. More people need to contribute, and larger sums, to bring about meaningful change in the Muslim world. We all need to remember that the Islamic Movement faces not only the regimes but their western masters as well. It is a battle in which the odds are heavily stacked against the Global Islamic Movement. This, however, is not something that Muslims should flinch from. It has been shown repeatedly that dedicated Muslims with limited resources have over-powered a vastly superior enemy force. The example of the Afghan mujahideen against the Red Army, the successful defence of the Islamic Revolution in Iran against the combined might of global kufr, the bravery and success of the Hizbullah in Lebanon and, more recently of the Chechens against the Russian army all prove this point. What Muslims must realise is that far greater resources are needed to overcome the challenges ahead. Those who are dissatisfied with the status quo must do more than merely complaining. They must commit their resources to help those who are struggling to bring about change. The Muslim world is on the threshold of major changes. What it needs is the commitment of a greater number of people to speed up this process. The time to do it is now. The writer is Editor, Crescent International, Toronto.